RAWALPINDI: Property tycoon Malik Riaz may not use the brand name ‘Bahria Town’ for his real estate projects as the sessions court of Rawalpindi has rejected his appeal seeking the nomenclature. 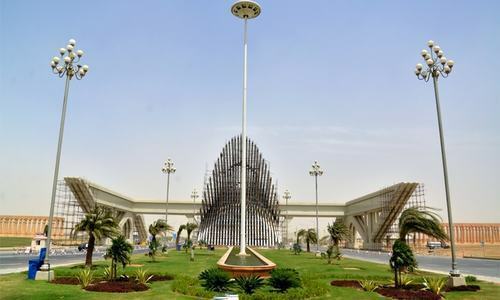 In March 2015, handing down a verdict in a case between the naval subsidiary Bahria Foundation and Mr Riaz, a civil judge accepted the former’s petition – originally filed in 2002 – to restrain the latter from using the name ‘Bahria’ for his housing society. Bahria Town challenged the verdict in the additional district and sessions court and the case was pending adjudication. The Supreme Court earlier this month directed the sessions court to conclude the proceeding in two weeks. Additional District and Sessions Judge Hakim Khan Bakkhar on Saturday rejected Bahria Town’s appeal and upheld the verdict of the civil judge. 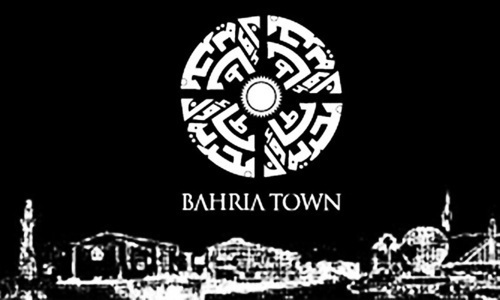 When contacted, a senior official of Bahria Town, retired Col Khalil, said Malik Riaz, not Bahria Town, had become a brand name. He said the housing society would explore the legal course. According to the details of the case, Hussain Global – a property firm linked to Mr Riaz – signed an agreement with the Bahria Foundation in 1996 to set up Bahria Town. The foundation was established in January 1982 as a charitable trust under the Endowment Act 1890. The Bahria Foundation Committee of Administration, headed by the chief of the naval staff, consists of eight members, including the foundation’s managing director. Under the agreement that Mr Riaz signed with the foundation, the naval subsidiary was offered a 10pc share for the use of the name ‘Bahria’ for the private housing scheme. The remaining amount was divided among Hussain Global, Mr Riaz and his family members. In the year 2000, the foundation asked Mr Riaz not to use the name ‘Bahria’ for his housing society. On Feb 24 the same year, the property mogul signed an agreement with the Bahria Foundation to the same effect. Agreeing not to use the name permanently, Mr Riaz’s people did request that they may be allowed to retain the name for another 18 months. However, in 2002, Malik Riaz obtained a stay order from a local court, alleging that Bahria Foundation had forced him to sign the agreement. Since then, the tycoon has expanded his housing project manifold and sold a large number of housing and commercial units in Rawalpindi, Islamabad, Lahore and Karachi. ADSJ Bakkhar conducted day-to-day proceeding in the matter. Barrister Gohar Ali Khan and Sheikh Ilyas represented the housing society. According to the counsel, the official of Bahria Town agreed to relinquish the brand name to the foundation under coercion. However, Bahria Foundation’s counsel Sheikh Khizer Rashid argued that the foundation never pressured Mr Riaz who agreed not to use the name of his own free will. The property tycoon had signed the deal in the presence of the company’s registrar, he said, adding Mr Riaz did not appear in court to prove the allegation that he was forced to sign the 2002 agreement. He said using the nomenclature of Bahria, associated with Pakistan Navy, was bringing disrepute for the armed forces. Therefore, the private housing society should not be allowed to use the title. Strange to know that . Malik riaz need to contest the case in an international understanding of law. Well done.An extremely good decision by the court. Needs to be implemented forthwith. Malik Riaz has a proven track record. His name is enough to sell any real state project. So whatever the name he will use, but still people will buy the property in his projects. Now what, we call it Malik Riaz town? Bahria Foundation should file a separate suit against him claiming damages for illegally using the brand name, 'Bahria' for his housing projects. Bahria means Navy. The business oriented person has no right to use “ Bahria” as his business brand. “ Bahria” is an intellectual proprietory of our nation Pakistan, and nobody should dare to infringe on that. i always thought that by BAHRIA it means NAVY ???? he made name through bahria. If that is true, why does Malik Riaz appeal to the courts to retain the name of Bahria? @Mohsin Malik . So now we can rename it as 'Riaz town', whatever boost that he needed by using the name of 'Bahria', he has already got. Bahria sound like Navy project this must be changed as Navy projects needs to be protected and people must not think this is navy projects. This is the reason and people can't be fooled. Rename it as Bahar town. Iam sure Mr. Malik will many other suitable names. It is what he has accomplished sells his his projects. Superb decision because Ruaz Malik has used the name of Pakistan Navy for personal gains.This translated in urdu is called Pak Baharia.He is extremely cunning man and has acquired thousands of acres of land illegally.Also sold land to people and failed to provide it.Many cases are pending against him.The name of armed forces of Pakistan should never be used by private enterprise.Never.The cases against him need to be investigated expeditiously. But my question will be, why in the first place the Pakistan Navy did not object to the use of the word Baharia, which is associated with the Pakistan Navy. Is it possible that some of the high ups in the navy were silent because they were involved in some kind of payoff. This should be investigated and action taken against those officers, most of them by now retired.